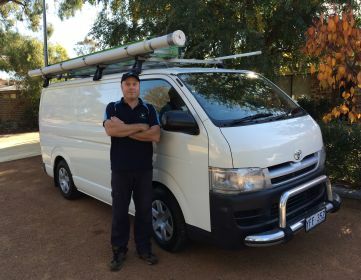 Peter Collins is a qualified and licensed electrical contractor, who has been servicing the ACT and districts since 2003. Canvolt is a family based business, located in the suburb of Kaleen in Belconnen, Canberra. Peter is a reliable, punctual, efficient and honest tradesman. Safety is a priority and at Canvolt we pride ourselves on up-to-date knowledge and products. Peter’s attention to detail and personalised service makes for a high level of customer satisfaction. Call Peter or Request a Quote, it would be our pleasure to give friendly advice and to discuss your electrical needs.